So when can we get that epic Pets/Minions crossover movie? 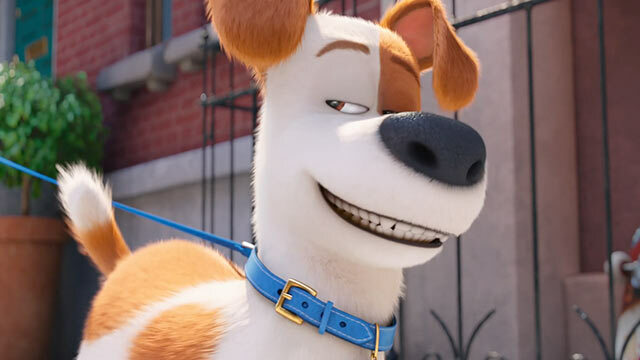 You just know the folks at Universal/Illumination are thinking about it now that The Secret Life of Pets has opened with a remarkable $103.1M. That's the biggest debut ever for a completely original movie, and the sixth-biggest opening ever for any animated movie. Damn. People love their pets but this is crazy. Did they buy them a ticket to the movie, also? Well, probably in L.A. they did. Illumination's been pretty brilliant in marketing the movie as being from the same folks behind Despicable Me and Minions, but audiences automatically recognize the animation style since it stays consistent across all of their projects. That kind of easy branding has the potential to be successful for a long stretch and across multiple franchises. But in regards to 'Pets', this is simply a case of a catchy film that audiences were eager for. It's not an understatement to say that it may have been the most anticipated movie of the summer among casual moviegoers, because again, everybody loves their pets and want to imagine the things they do when stuck at home during the day. It's a fun concept, and don't be surprised if it does extremely well next week, too. The Legend of Tarzan held strong in its second week, slipping only 46% for an additional $20M. Overall, the $180M film has earned $135M worldwide, and should end up a modest success when all is said and done. Will it be enough for Tarzan to swing back to the jungle a single time? That remains to be seen. As far as mid-budget R-rated comedies go, Mike and Dave Need Wedding Dates offered decent laughs for a short-term commitment. That apparently was enough to attract $16.6M in its first weekend, which isn't too bad. The film's biggest draw was its fours leads: Zac Efron, Adam DeVine, Anna Kendrick, and Aubrey Plaza, stars everybody knows and what they bring to the table. There's always going to be an audience to see these four tell raunchy jokes for 90-minutes. It only cost $10M, so don't be surprised if they vote for The Purge 4 at some point soon. It's only just beginning to expand overseas but as of right now Steven Spielberg's The BFG is looking like a giant disaster.